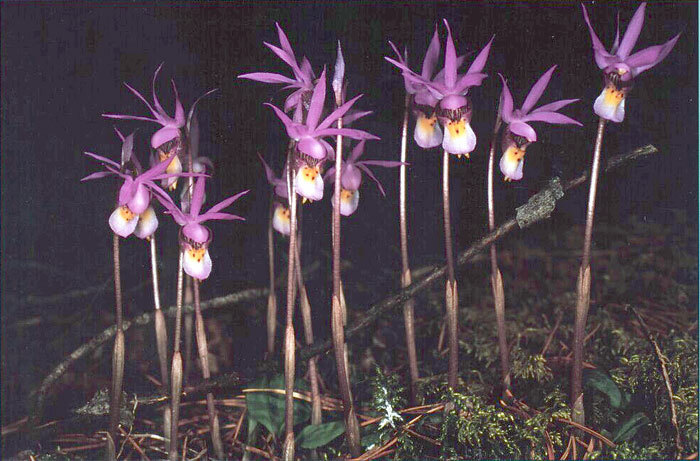 Group of Calypso bulbosa (Orchidaceae) from the rocky Mountain foothills west of Calgary, Alberta, Canada. After receiving pollen, these flowers undergo rapid changes in color and shape, but the rate of change is unaffected by the amount of pollen deposited. Removal of a flower's own pollen does not cause color or shape changes.